So I'm back in the freelance-writing game after being laid off from NBC earlier in the year. My first story is. of course, something related to retro toys. I review the biography of William Gruber, who invented the View-Master, as written by his daughter, Gretchen. It's in the Seattle Review of Books. As I note numerous times in the review, don't expect a lot about the toy--it's a book about the inventor, not the invention. Still, he led an interesting life--and once belonged to the Nazi party, and was later investigated by the FBI for that and other pro-German leanings. 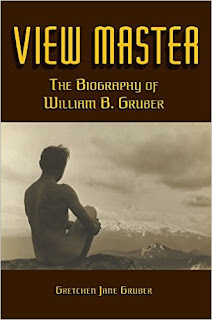 The book is "View Master: The Biography of William B. Gruber," and you can get the Kindle version for less than $5.